Alexis of Thought You Knew sent me some information on their forthcoming TyK Calender for 2010. 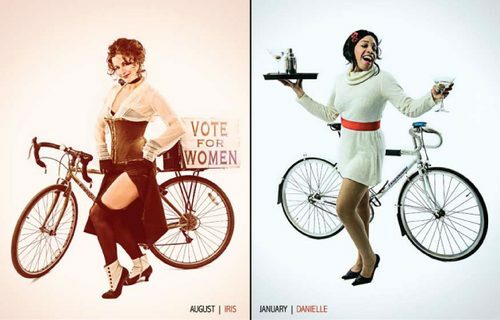 The calender features Ladies PinUps and Men’s SuperHeroes as the theme and gets pretty creative as you can see from these teaser pics. All proceeds of the sales go to support the Sadie Hawkins Style Ride via Chicago Women’s Health Center. More info here.